Two Injured In Accident After Man Runs Red Light Near West Palm Beach | Schuler, Halvorson, Weisser, Zoeller & Overbeck P.A. Two men were seriously injured and hospitalized after a crash in suburban West Palm Beach, authorities reported. 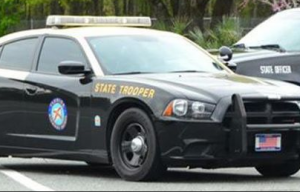 Florida Highway Patrol (FHP) says a 23-year old Stuart man was traveling southbound on N. Military Trail at a high rate of speed when the accident occurred. According to FHP, he was not wearing a seat belt at the time of the accident. While the driver was approaching the intersection of Lakeside Green/Shenandoah Drive, FHP says he ran the red traffic signal and entered the intersection, striking the side of a 2014 Hyundai driven by 27-year-old man of Palm Springs. Both vehicles came to rest off the southwest corner of the intersection. Both drivers suffered injuries in the two-vehicle accident. They were transported to a regional medical center shortly after first emergency responders arrived at the crash site. Officials confirmed that both directions of the the intersection of Lakeside Green/Shenandoah Drive are closed due to this confirmed crash with injuries. All lanes were closed for several hours as authorities investigated. Traffic on the route is being diverted and drivers are advised to take alternative routes. West Palm Beach personal injury attorney Jason Weisser of Schuler, Halvorson, Weisser, Zoeller and Overbeck responded to this accident. “It appears that the driver from Stuart ran a red light and caused this accident. It is very unfortunate that both of the drivers received injuries in this crash. We hope that they both quickly recover. Please be careful and obey the speed limits and traffic lights whenever you are driving a motorcycle, car, SUV or truck. This is especially true when there are children in the area. We hope that all parties involved consult with an experienced trial lawyer. If you have been injured in an accident, call my office for a free consultation to find out what are your rights”.